Odessa always attracted the best and the worst of Russian society. People with daring, entrepreneurial skills, and high hopes for freedom flocked there to find an El Dorado, or as the Yiddish saying promised, “to live like God in Odessa”. Others were already fugitives from the law, saw the commercial entrepot as a potential for criminal activity, and sought their fortunes dishonestly. While many considered Odessites amoral as well as apolitical, most conceded that there were also many creative spirits in literature and the arts, sincere patriots, zealous reformers, good mothers and fathers. As Jabotinsky wrote, “Odessa was one of those few cities which created their own type of people.”Just as the city presents physical contrasts—the flatness of the steppes and the steepness of the bluffs, land and sea, sun and fog—Odessa’s history presents light and dark passages. Nature and history have conspired to create a singular, enchanting city by the sea—Odessa. The very name with its soli frame of vowels, its whispering sibilants, vaguely Greek, or perhaps Italian in origin, definitely not Slavic, is only the first of the city’s many mysteries. Legends, not documents, say that the empress founder, Catherine 11, gave a verbal order to name the city for the Greek epic hero Odysseus, but to render the word in the feminine gender. There are also tales that there had once been a Greek colony by that name in the vicinity, so that this was to be the second Odessa. The ancient Greek colony of Odessa, however, had been located in Bulgaria, many miles away. 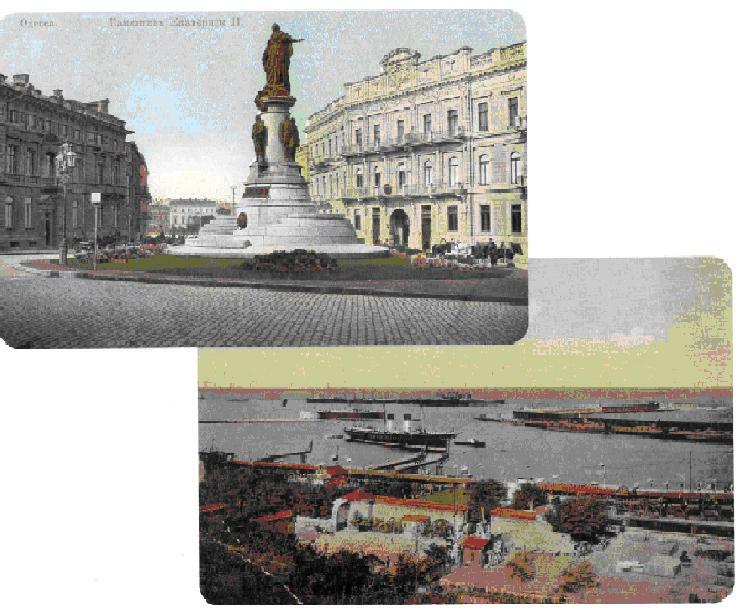 Odessa, easily pronounced by all tongues, was a kind of Esperanto city, or more accurately a Tower of Babel, reflecting the dozens of ethnic groups who carved out space within its capacious embrace, each speaking its own language, with Italian becoming the first lingua franca of the seaport. Only later did the Russian language predominate, but still twenty or more languages could be heard on the city’s streets. An evocative place, Odessa elicited stories, journals, histories, paintings, photographs, films, poetry, jokes, and songs across its two-hundred-year history from the famous and unknown to commemorate and even celebrate their experiences there. Mysterious, magical, and majestic sitting on a high bluff overlooking the Black Sea, Odessa was also the scene of abject poverty, brutality, and violence. A popular Jewish song, “’Odessa Mama.” bespeaks the affection of the city’s residents, but mothers can be cruel as well as kind. 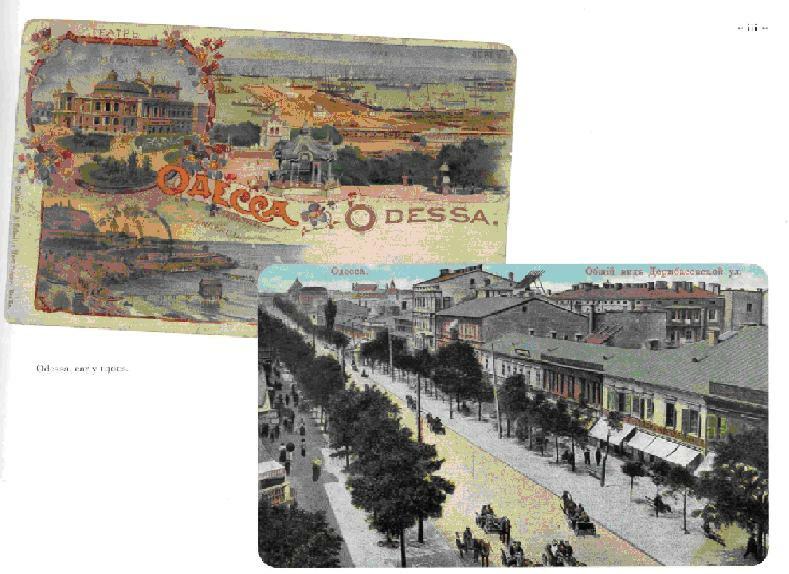 The unique mix of peoples in Odessa served as a matrix for creating wealth and art, but it was also a volatile mixture that sporadically erupted in dreadful pogroms and revolutions, as its darker pages of history record.